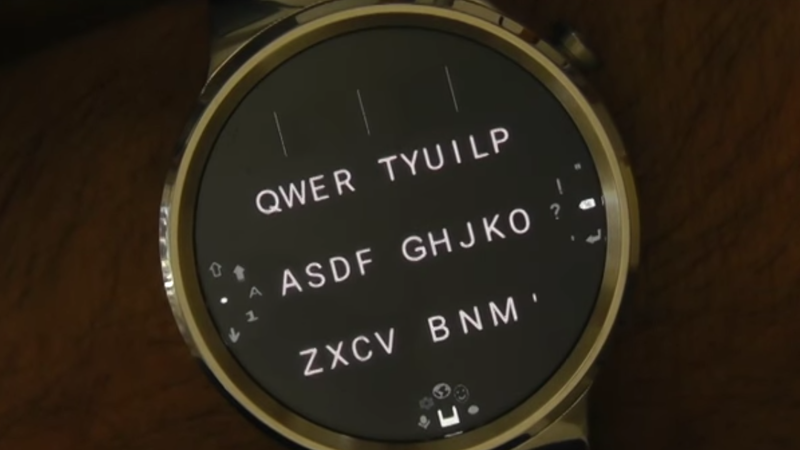 Android smartwatch developer Snapkeys has launched its wearable keyboard for round-faced Android Wear smartwatches. The original square version launched back in March, but with Android Wear 2.0 and the rise of round smartwatches such as the Casio Outdoor Smartwatch and Huawei Watch, Snapkeys has wasted no time in opening up to the whole market. Using a quasi-T9 predictive text system, the keyboard features six buttons which group letters together. It will then attempt to predict the words your trying to type, minimising interaction with the smartwatch, which let's face it is always good. It's not the first innovation from Snapkeys. The company actually tried to Kickstarter its own smartwatch back last year, but cancelled the project because – obviously – no-one wants to buy a smartwatch that has a keyboard as its USP. We feel that smartwatch keyboards have a short shelf life given the advances in voice recognition and digital assistant which are making their way to the latest devices. CoWatch, for example, has Amazon's Alexa assistant built in. But voice control is far from perfect, so for many, keyboard apps could bridge the gap for those who really want to live life from the wrist.